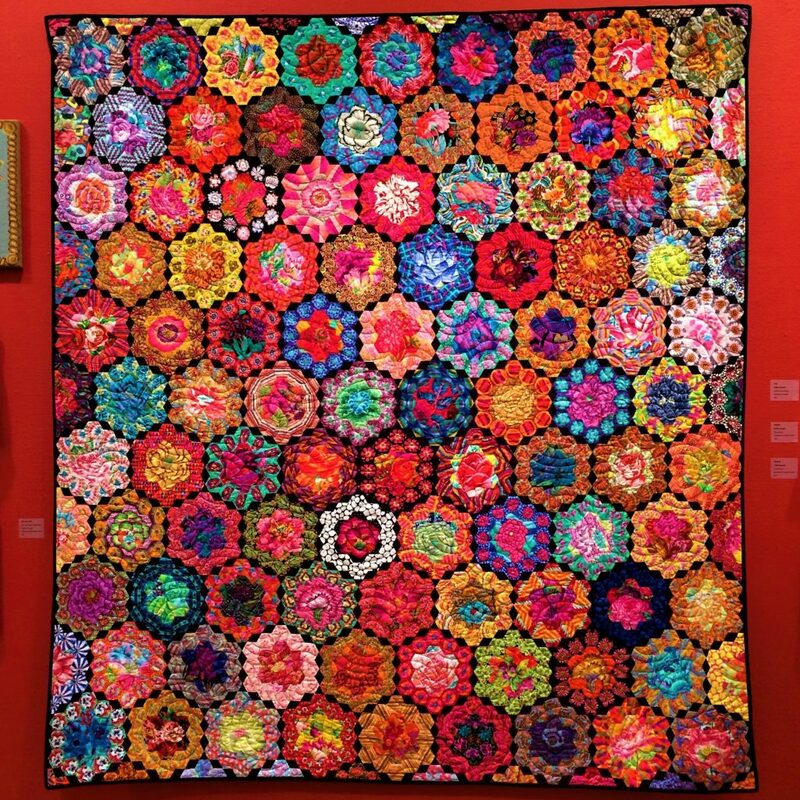 My holiday to Devon and The Contemporary Craft Festival in Bovey Tracey is starting to become one of the ‘must have’ annual events in my calendar. The drive down can take around five hours so I usually break the journey for a few hours and take a wander around Bath. 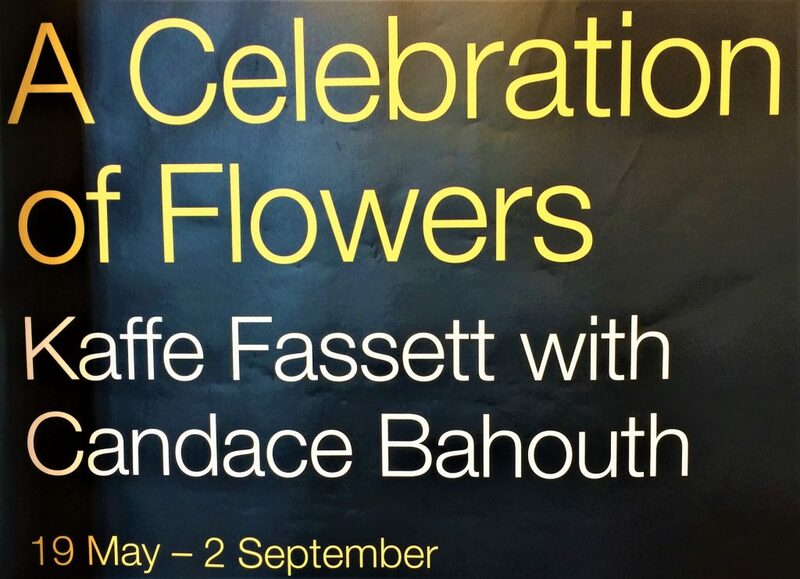 This year I’d heard about a new Kaffe Fasset exhibition at the Victoria Art Gallery so I just had to take a look. 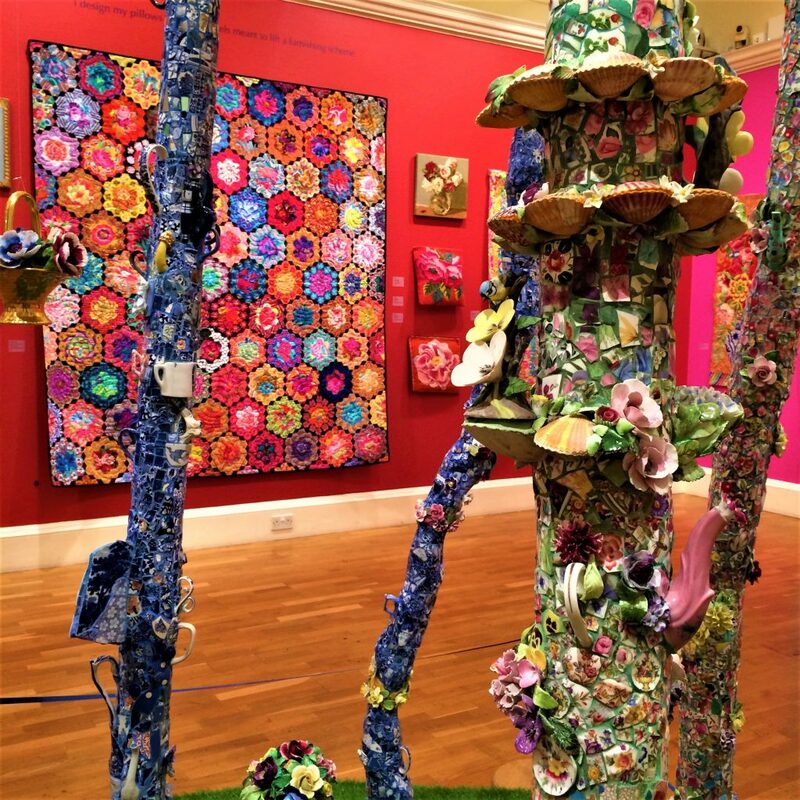 Kaffe Fassett’s 2014 exhibition at the American Museum In Bath had totally blown me away. His volume of colour and pattern had been truly deafening. 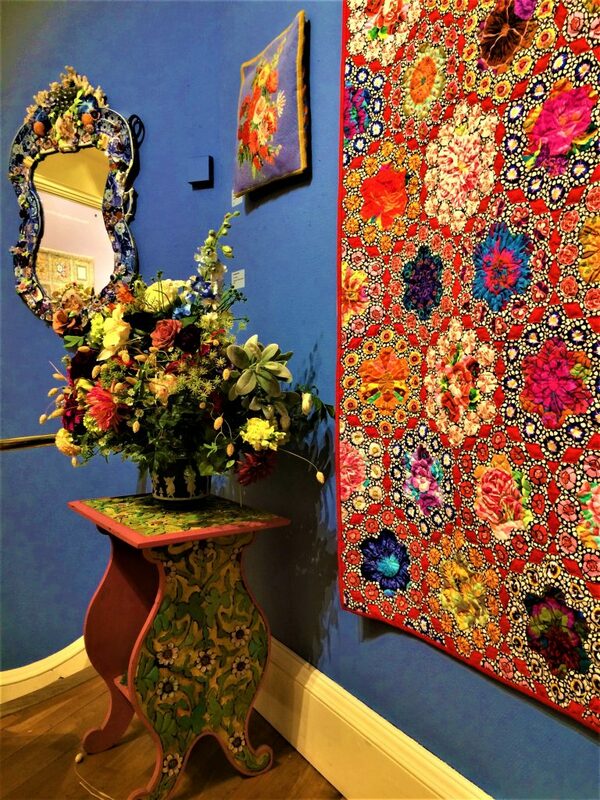 In Bath, Kaffe has collaborated with Candace Bahouth to create an exciting new exhibition. 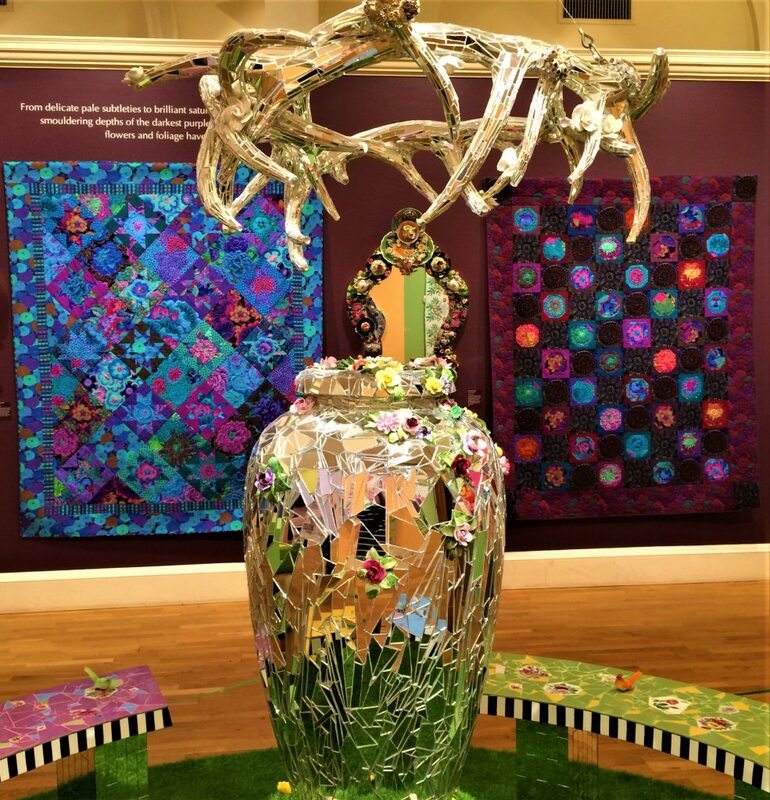 It incorporates many of his textiles and Candace’s beautiful, tactile, mosaic structures along side each other. Each piece works in perfect harmony with one another. 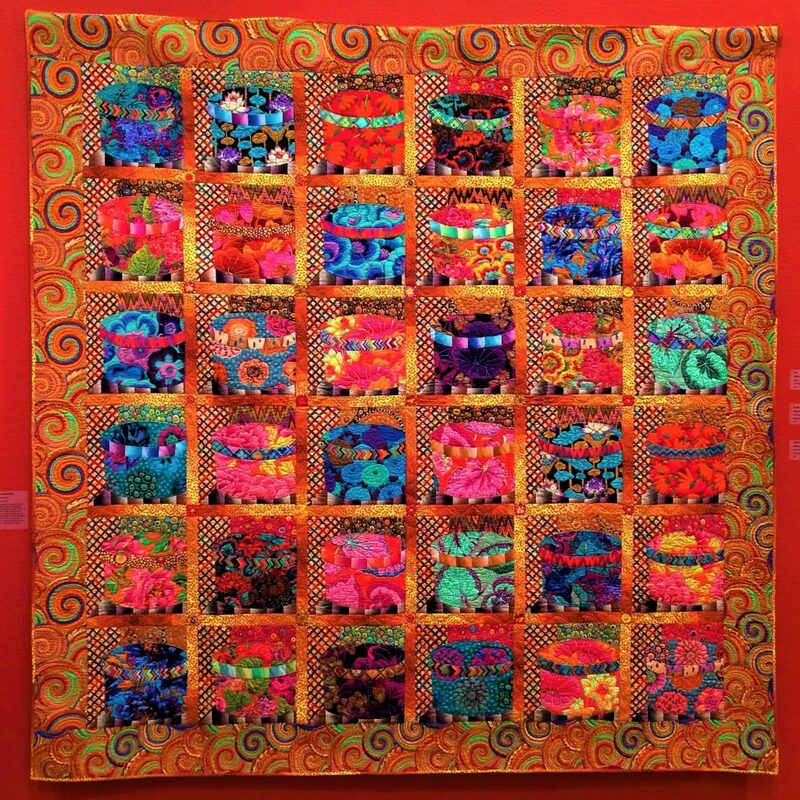 Kaffe Fassett has produced a collection of work that’s as colourful as ever. 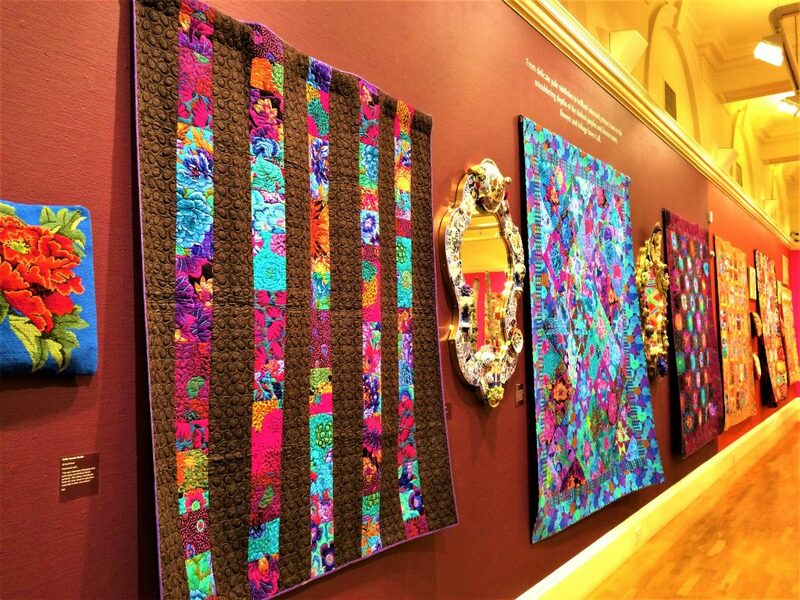 The walls of the long gallery, are painted in sections creating the perfect backdrop to his multi-coloured quilts. 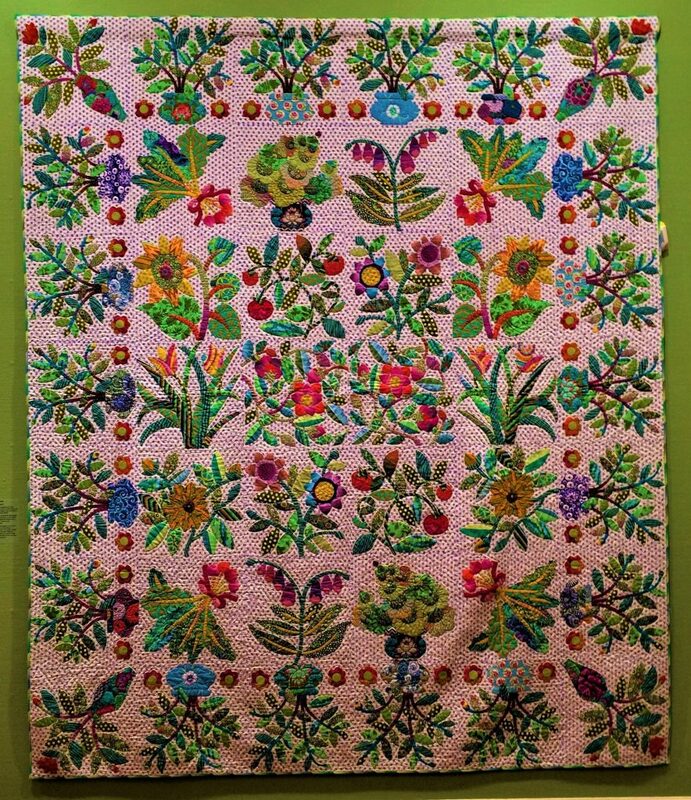 His pieces included many large quilts sitting alongside smaller needlework cushion panels. The work of Candace Bahouth is based around familiar forms such as mirrors, candlesticks, shoes, seats, vases, antlers and tree branches. Each one is turned into something magical with the addition of broken china and shards of mirror. 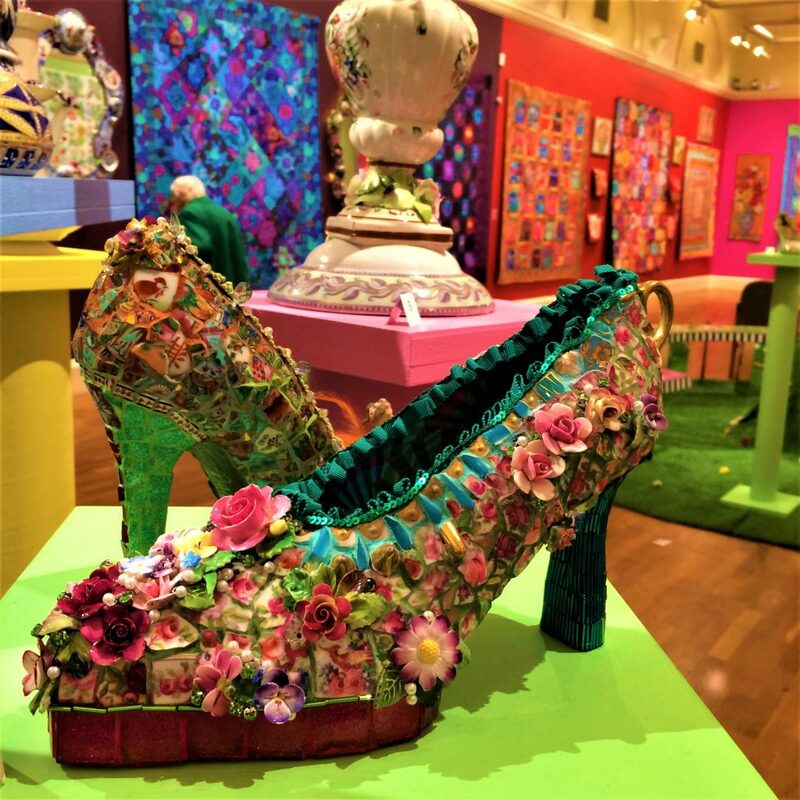 Her choice of colour and three dimensional detail varies from piece to piece making each one uniquely special. The mosaic textures play beautifully with the reflecting light. 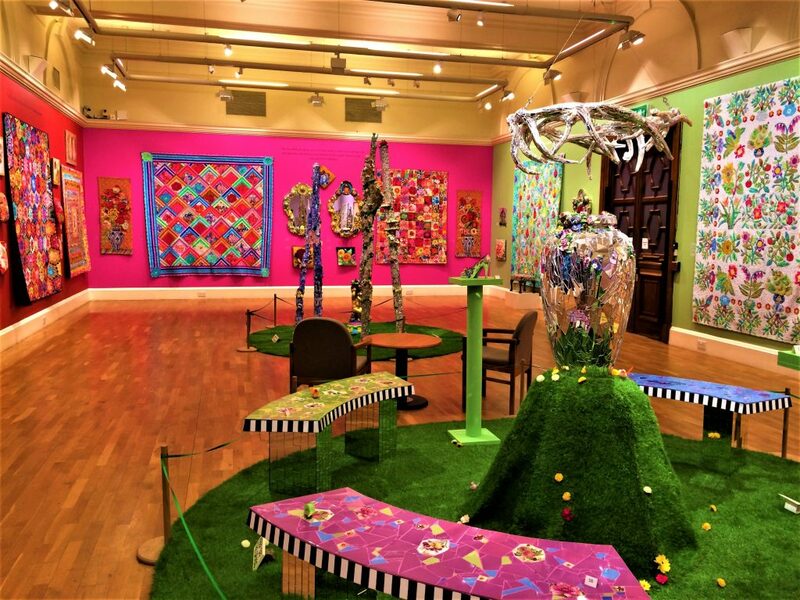 The large mirrors contain beautiful and delicate china flowers and reflect images of the colourful quilts. The larger structures incorporate teapots and shards of mirrored glass which bounce light around the room. Look at these shoes! 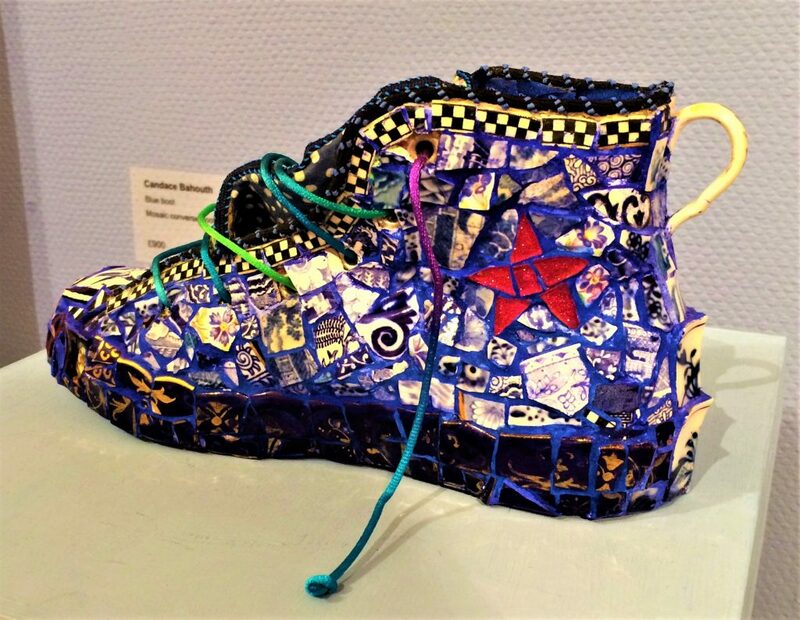 Each tiny piece of broken china has been carefully selected and then enhanced with a colourful choice of grout. 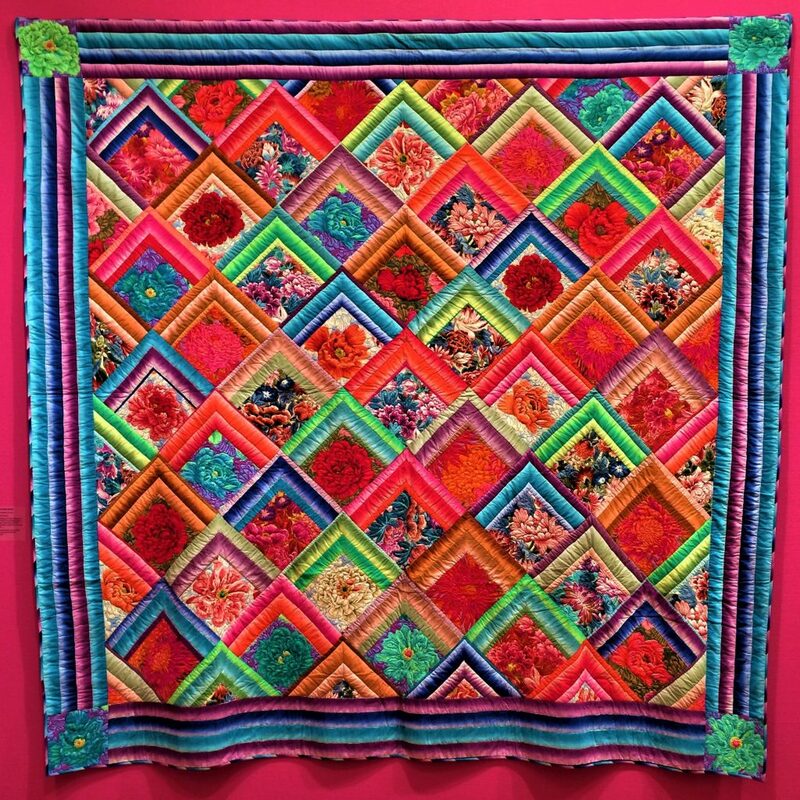 Keep up to date and be the first to read about my latest Textile Adventure by Subscribing to my Blog. 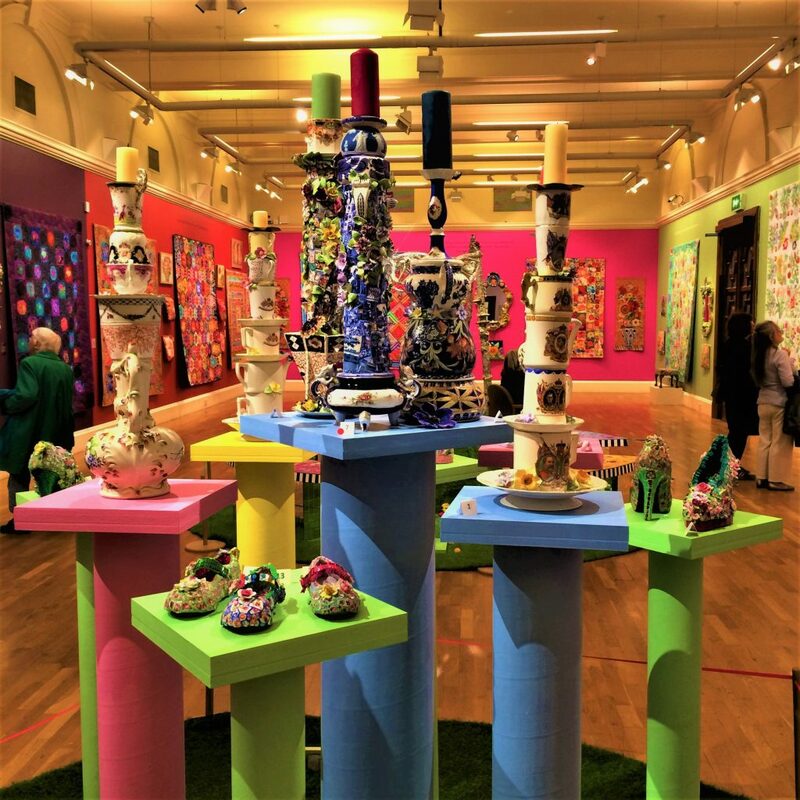 This wonderful exhibition is on at the Victoria Art Gallery until the 2nd September 2018 and I can heartily recommend a visit. There’s may too much to share in one blog post so I’ve created a second blog post showcasing Candace’s large, mosaic mirror collection. 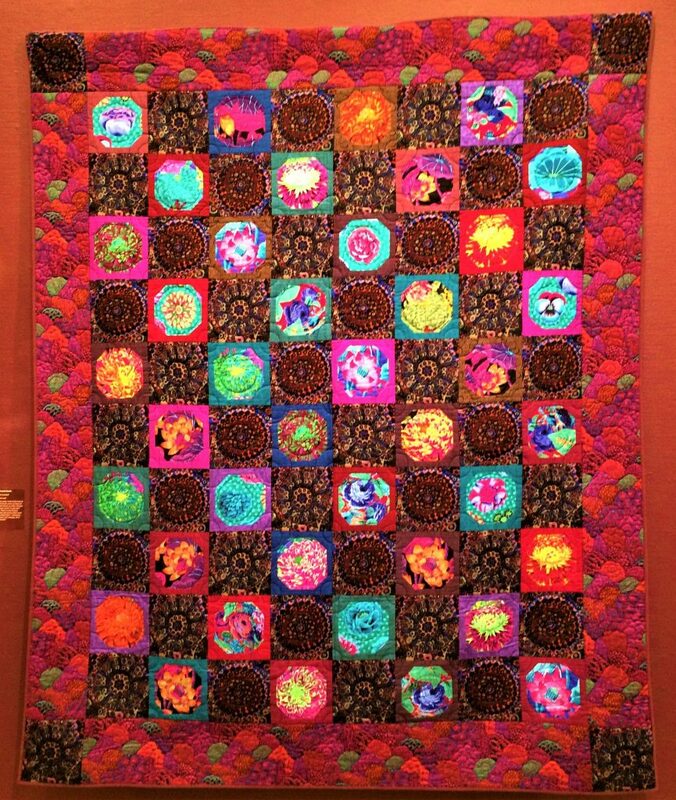 Are you a fan of Kaffe Fassett’s pattern and colour ? 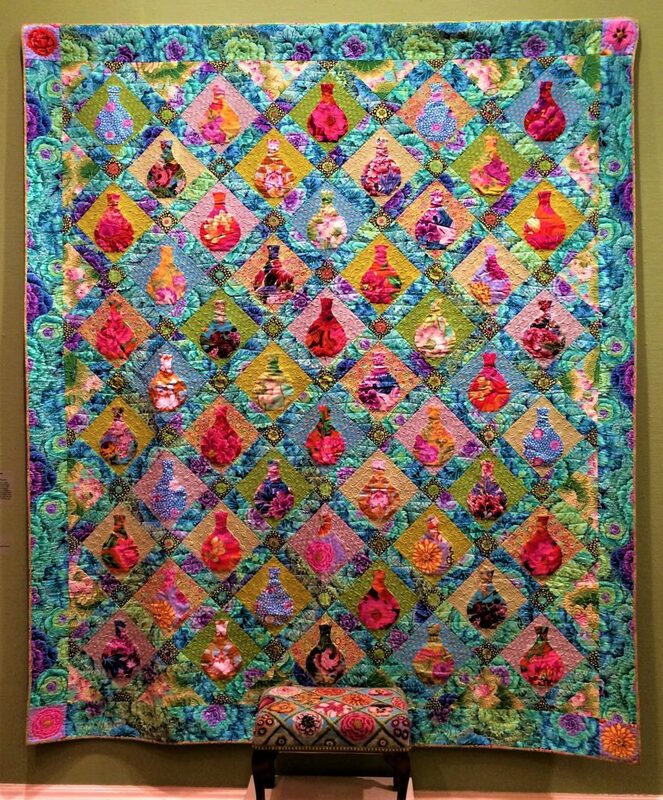 Have you created your own masterpiece with his textiles? Share your thoughts below. Previous PostPrevious Contemporary Craft Festival 2018, Bovey Tracey – What came home with me!